Denne uken vil vi se en eller flere swirler på det du lager. This week we want to se swirles on your card. 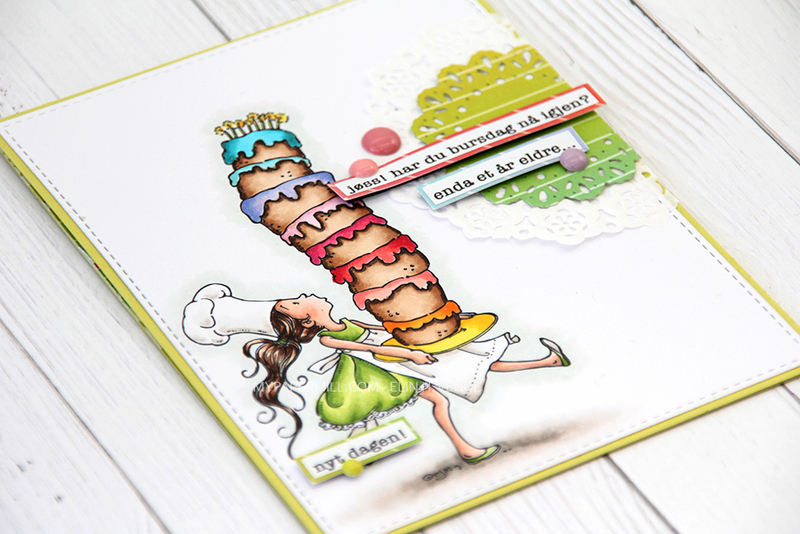 This is so beautiful Marita I love that cute image and your colouring is fab!! This image is so cute ! Your bag is a beauty ! Wow!!! Marita this is so gorgeous. It is adorable and also very pretty. Your colouring is awesome. Beautiful gift bag! Love the colourng and the layout! En nydelig gavepose i så flotte farger Marita! This is sooo cute, love your great coloring. Beautiful, love the sweet image and such great coloring. Thanks for joining us at Crafts 4 Eternity. Evie-DT member. Just beautiful....sweet image and a gorgeous colour! Thanks for joining us at Sparkles this time & good luck! Jättegullig påse och en mycket söt stämpel. I had to pop over to visit your blog after you left such a lovely comment on my card, thank you for that, like you I appreciate every comment I receive. Your little bag that you have decorated here is just so adorable, and would look great for that special someone on Valentines day, the image is so cute and the colour palette is stunning. Hello Marita, what a gorgeous image and a lovely gift bag. Wonderful colours and papers.